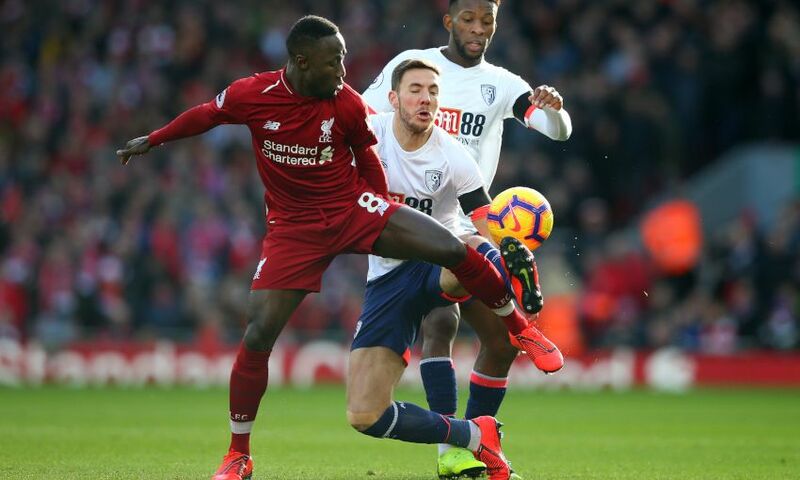 Andy Robertson felt Naby Keita's influential performance in Liverpool's 3-0 win over Bournemouth was the best of his debut season so far. The Reds returned to winning ways at Anfield on Saturday, with goals from Sadio Mane, Georginio Wijnaldum and Mohamed Salah moving the hosts three points clear at the Premier League summit. Jürgen Klopp praised the rounded nature of his side’s display in his post-match assessment and Robertson concurred that Liverpool had responded appropriately to successive 1-1 draws against Leicester City and West Ham United. The left-back highlighted the efforts of the midfield three in particular and took satisfaction from seeing Keita flourish in front of a buoyant home crowd. Asked about the contributions of the central trio, Robertson told Liverpoolfc.com: “They were different class. On my side, I thought that Naby was excellent. On Keita, who celebrates his 24th birthday on Sunday, Robertson continued: “He’s young and he’s had to take time. But if you look at all of us, Fabinho had to take time, me, Chambo. Liverpool, who had dropped below Manchester City on goal difference this week, were determined to pack a punch at Anfield and wasted little time in doing so. Mane’s clinical header broke the deadlock and it was from Robertson’s assist that Wijnaldum coolly took advantage of space to lift a delicate lob over Artur Boruc. And an outstanding, unselfish flick by Firmino three minutes into the second half set up Salah to seal the Reds’ 20th victory in 26 Premier League fixtures this term. “We had the beauty, as such, of playing first this weekend and it was all about bouncing back from the last two performances,” said Robertson. “From the first whistle I thought we were excellent. We were playing against a really good team today, a team that can cause problems on the counter-attack and they did that a couple of times in the first half. “But, overall, I thought we deserved the win and we deserved the clean sheet, and it probably could have been more. “In this league it is so hard to win games and you have to work for every inch that you get. And you have to work for every goal that you score, and thankfully we did that today. “Bournemouth, two games ago, beat Chelsea 4-0. So, they are having a good season, they have a good team and a good manager. We knew what test we were up against. 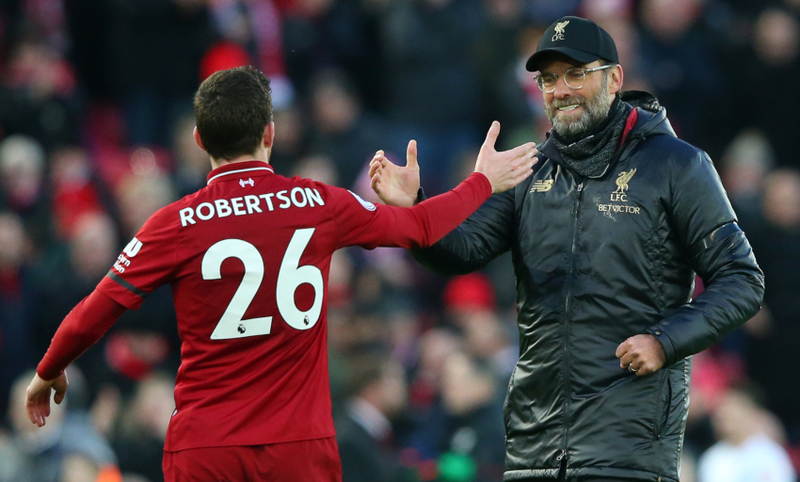 Robertson also paid tribute to the impact of Liverpool’s supporters on Saturday, revealing the sense of anticipation within the dressing room to turn the energy from the stands into points on the board. “It was brilliant,” he said of the atmosphere. “The fans got behind us, they were in nice and early and they got behind us from the first whistle. It always makes a difference. “But we know we have to put on a performance to match that. We need to put in a performance to get the fans onside; to win our tackles, to score goals, to create chances. That’s the only way you are going to get fans off their seats and that’s in any league at any time. “You could sense in the changing room today that we couldn’t wait to get out and warm up and we couldn’t wait for the game to start – and we took that into the game. That’s why we started so well.